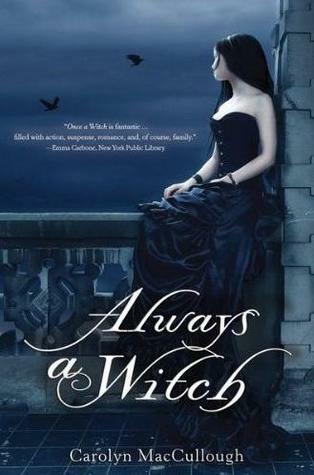 Always a Witch is the sequel to Once a Witch. Having loved the previous novel, I knew that the sequel was going to be read one way or the other. Always a Witch picks up right where Once a Witch stopped. Rowena is still getting ready for her wedding. Tamsin trying to find her place in her Talented family. Business as usual. Or is it? Honestly, I had really high hopes for Always a Witch. I fell in love with Tamsin and her family in the previous novel. And I expected to fall deep still in the sequel. But it didn't exactly happen that way. Always a Witch centers more on Tamsin, her journey, and the Greenes of yesteryear. And while I liked that MacCullough went in a little bit of a different direction, the spark that Once a Witch had was missing. Ever since I finished the last page, I have been racking my brain trying to figure out what special ingredient that Always a Witch was missing. I think I have boiled it down to two things: her current family and Gabriel. Both are key elements that I loved about the previous novel and missing from most of this one. I did enjoy the time spent with the past Greene and Knight families. But it wasn't the same. It really pains me to admit that I didn't love this book. In many ways, I wish MacCullough had blended some of the storyline of this tale into the previous novel. Always a Witch, while an interesting read, seemed a little weak on its own. Lovers of Once a Witch, proceed with caution.